The Definition of "Go Green"
"Go Green" is a widely used term that can mean something different to everyone. The U.S. Chamber of Commerce Small Business Nation defines going green as simply taking steps to "conserve energy, reduce pollution and save money." Going green can be achieved through simple steps and does not have to mean skipping showers, selling your car and never setting foot in a grocery store. Conserving energy is one of the most basic concepts involved in going green. Simple strategies such as turning off the lights when leaving and turning the water off while brushing your teeth can go a long way. There are several energy-efficient products available varying from light bulbs to large appliances that can help conserve energy as well. Although these products may be a bit more expensive initially, they can save energy and money in the long run. Going green essentially means being environmentally friendly. Reducing pollution is yet another simple strategy that can make a huge difference. 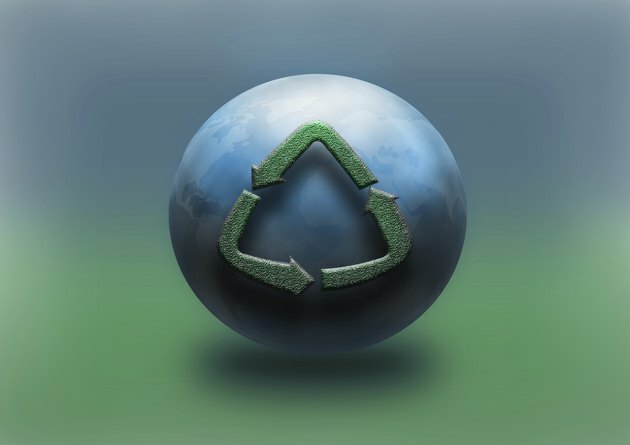 Recycling is a key component of reducing pollution. Materials such as plastic can be recycled and reused rather than thrown away to lay in a landfill for years. Food waste can also be recycled in the form of compost. Composting enables food scraps that otherwise would be thrown away to be utilized as fertilizer. There are a wide variety of products targeted toward green living that make changing to a greener lifestyle a simple and easy transition. From energy efficient light bulbs, to organic foods and natural cleaning products, green options are everywhere. Going green websites such as Greenhome.com and BuyGreen.com offer a one-stop source for green products for the home, office, and more. Going green is a lifestyle change targeted at being consciously aware of the surrounding environment and how things we do affect that environment. According to "Going Green Facts" from FOX43TV.com, if American households went online to view and pay their bills, over 16 million trees would be saved. Another benefit to going green is the impact it can have on your health. From the foods we eat to the air we breathe, going green can help keep us healthy and improve our quality of life. U.S. Chamber of Commerce Small Business Nation: What is Going Green? What Are the Disadvantages of Going Green?